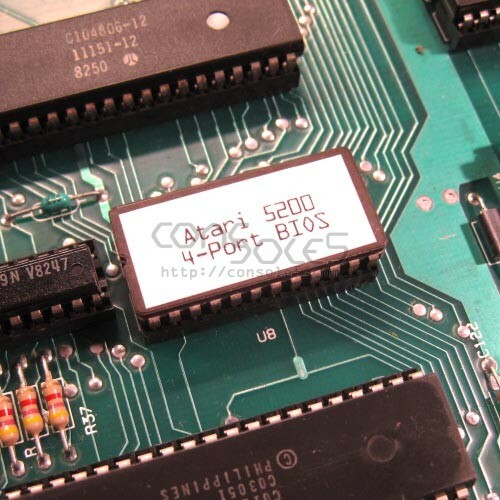 This product includes a 4-Port 24-pin BIOS EPROM for the Atari 5200 Supersystem. The BIOS included with 2-port model Atari 5200 units breaks compatibility with some 3rd party games, including Pitfall! and Mountain King. Installing the 4-Port BIOS restores compatibility with no other side effects. This EPROM will also function in a 4-Port 5200, should you have a defective BIOS that needs replacement. Most 5200 consoles have a socketed BIOS. Replacement only requires basic hand tools and about 20 minutes.